Just had dinner with Peter Greenberg, Travel Editor for CBS and formerly The Today Show. Also sat with President, CEO and PR Directors of Inter-Continental Hotels (IHG) Worldwide (Holiday Inn, Crowne Plaza, Candlewood Suites, Staybridge Suites, Hotel Indigo, etc.) 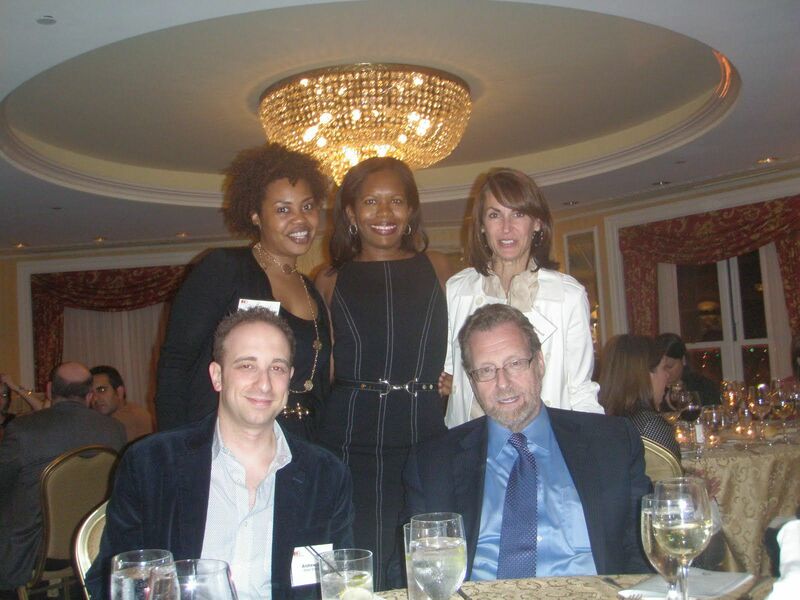 Left to Right, Andrew Bard, my contact and oh-so-diligent contact at Weber Shandwick PR firm, Peter Greenberg, who we're lucky to see outside of a TV screen or First Class plane seat, Natasha Gullett, Director of Brand Communications for IHG, Me/The Frugal Socialite and British hostess with the most-ess, Francie Shulwolf.